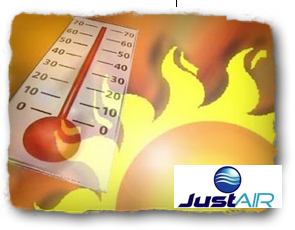 Just Air LLC in Surprise, Arizona is here to help you with anything and everything involving your air conditioning unit. Our services range everywhere from installation, to repair, to air duct cleaning to keep your air conditioning unit running smoothly and efficiently. Our technicians are well trained and are dedicated to giving you the best service possible, and providing service that shows results that speak for themselves. Just Air LLC was rated with an A+ by the Better Business Bureau and our service proves this rating true. With the best results, fastest response times from our technicians and the lowest prices for the services we provide, there is no reason not to call Just Air LLC for all of your air conditioning needs. Our technicians in Surprise, Arizona are on call 24 hours a day, 7 days a week and even on holidays to provide emergency air conditioning repair when you are in need of it. We understand the Arizona heat is unbearable, so we are here to keep you and your family cool when you are in need, no matter what time or day it is. Call Just Air LLC today if you are in need of air conditioning service in Surprise, Arizona.